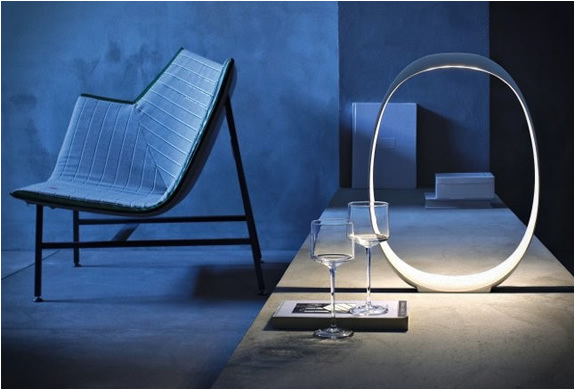 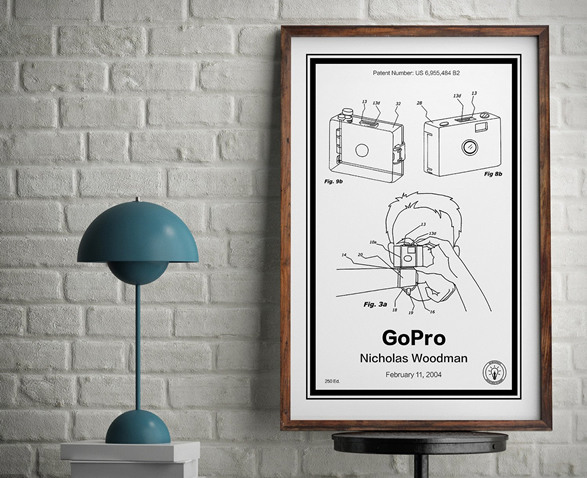 There is a new trend in turning old technology into decorative art that hangs on your wall. 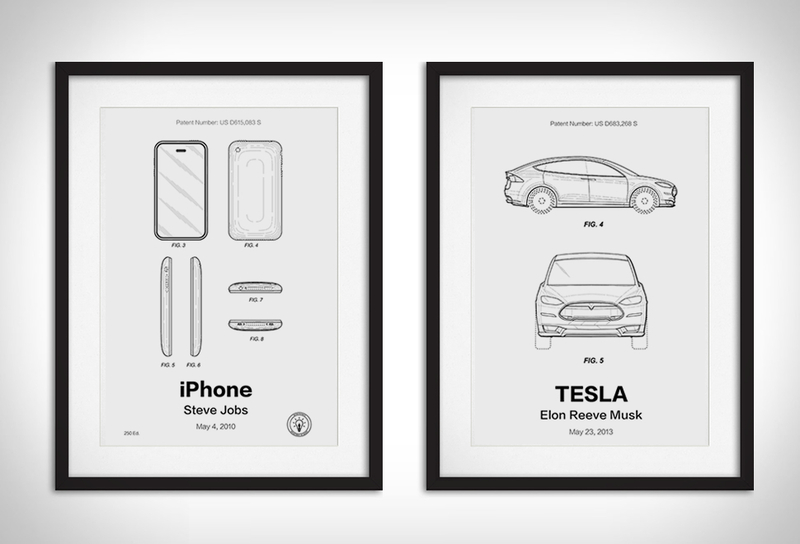 Framed Tech pays homage to the biggest tech icons such as outdated gadgets and vintage consoles by disassembling them and laying all parts out in an ultra-organized fashion, creating modern works of art. 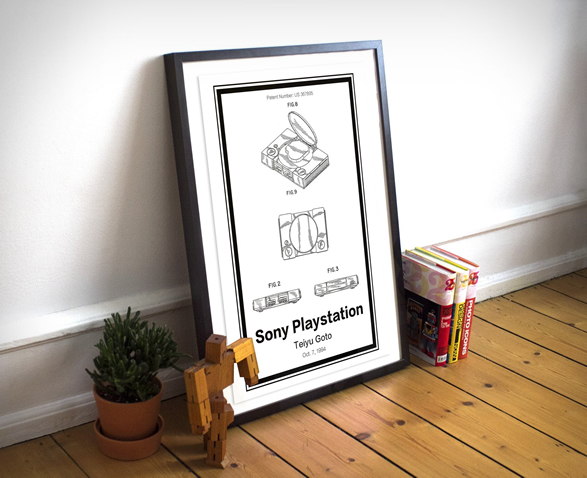 Another like-minded company is Retro Patents, which sells limited edition vintage patent prints that helped shape the technology, design and gaming industries. 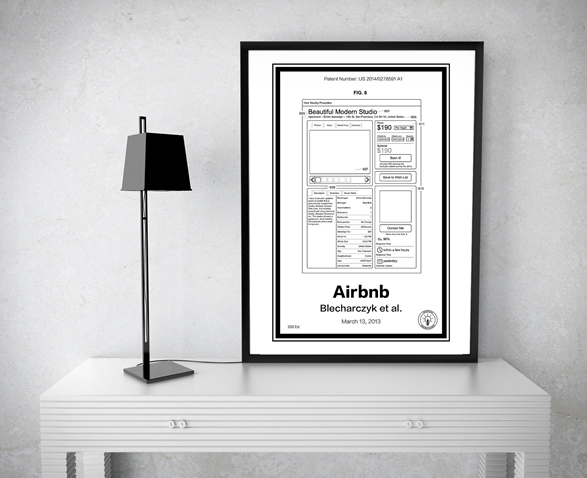 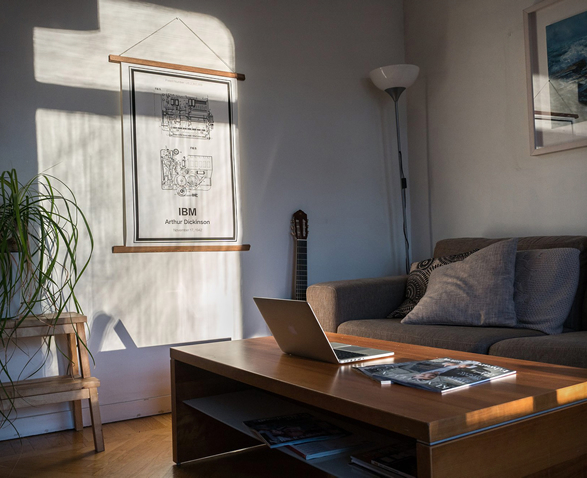 There beautiful bespoke prints are based on some of the keystone inventions of our generation from companies such as Apple, Google, Amazon, Sony, AirBnB and more.